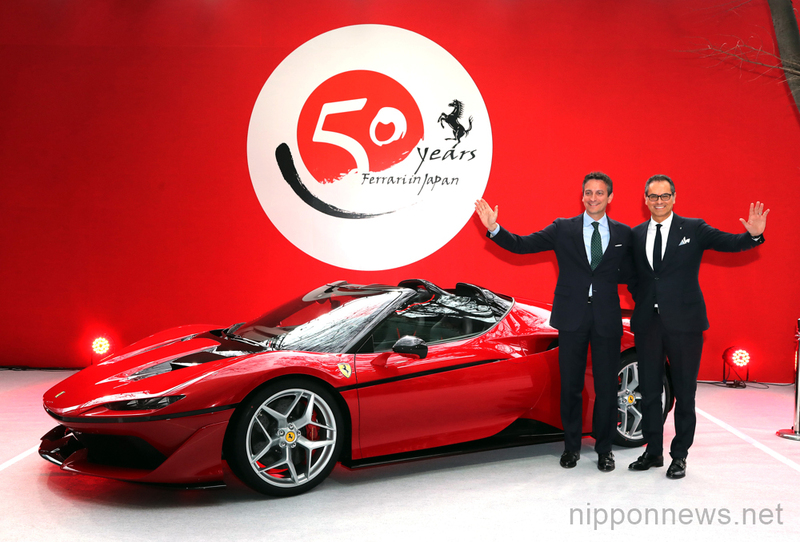 This is the very special limited edition Ferrari J50 premiered in Tokyo on on Tuesday, December 13, 2016 to celebrate Ferrari’s 50th anniversary in Japan. 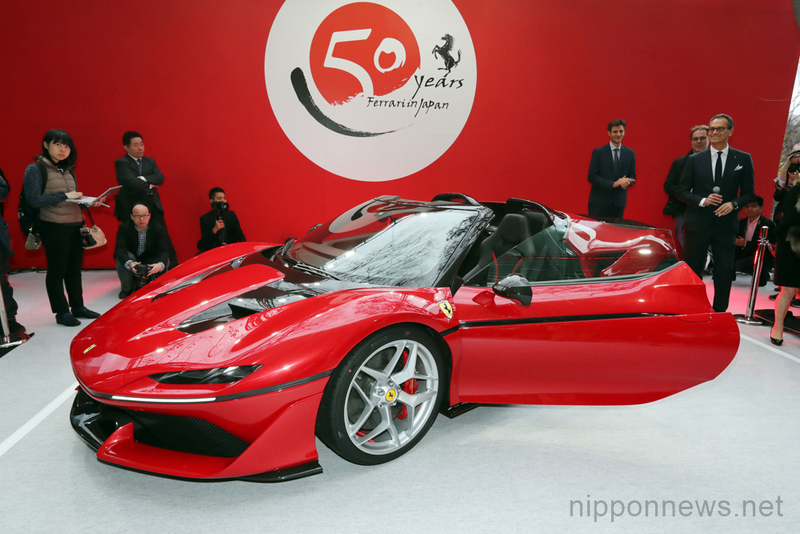 The supercar has a has 3.9-litter V8 turbo charged engine and is based on Ferarri’s 488 Spider, and only 10 will be built for Japan. 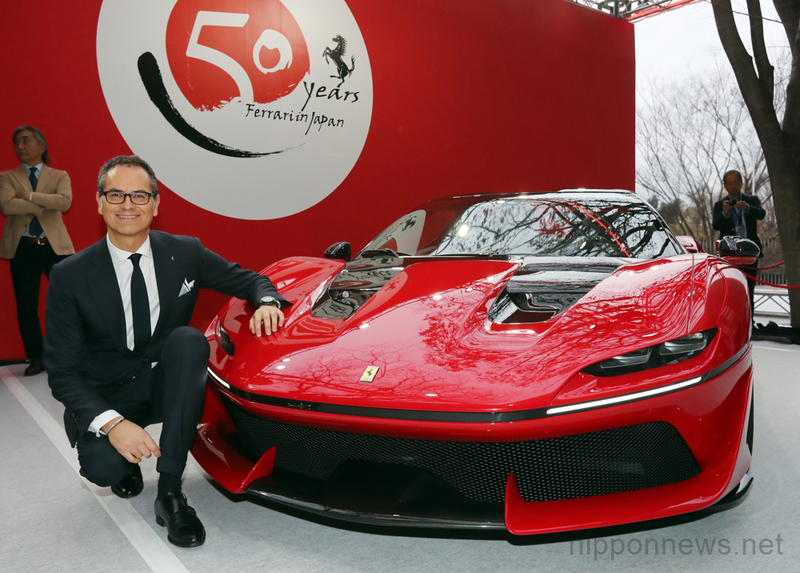 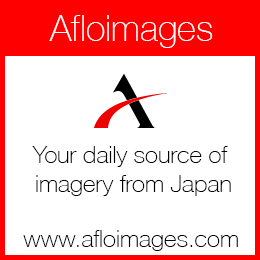 Ferrari senior vice president and chief designer Fravio Manzoni (R) and senior vice president and chief marketing officer Enrico Galliera were in Tokyo for the launch.